Color image of Philco 212 Computing System. 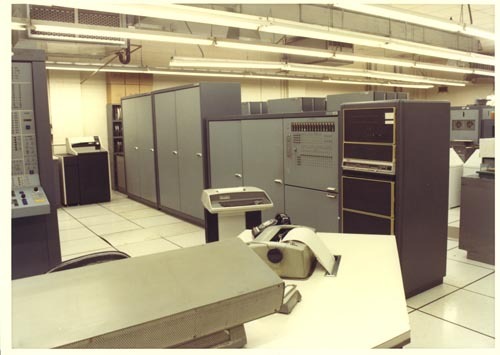 To The right is a partial view of the mainframe and console. To the right are several electronic cabinrts. In the foreground is a table and chair with an unknown device on table along with a typewriter/printer. In the background is a printer and in the midground a standalone printer.